When people imagine dessert for a wedding they tend to think of a towering cake covered with layers of white fondant. While a tiered cake is considered a wedding staple, it shouldn’t be the only dessert served at the reception. If you are planning your nuptials, you need to think about getting sweet treats catered for your guests. While elaborately decorated cakes are beautiful and grand desserts, they typically end up lacking in flavor. This problem happens because large cakes need to have sturdy tiers, so the sponges have to be dense instead of moist. Then every tier is coated with a smooth layer fondant and sugary detailing, which adds a lot of sweetness but no initial flavour. Instead of opting for a large cake with underwhelming taste, couples are getting clever with their desserts and putting a twist on tradition. Newlyweds are getting smaller wedding cakes with higher-quality ingredients so that they look and taste good. 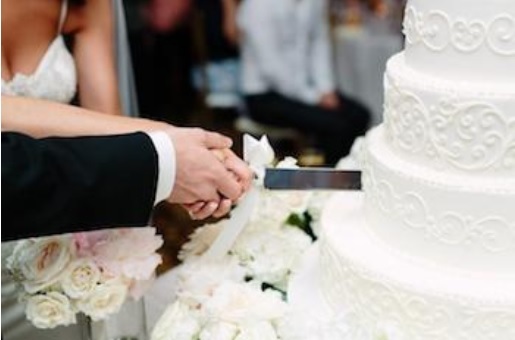 This way you can cut a small cake for photos and have other dessert options for your guests — if you hire a catering company for your wedding they can provide a variety of delicious and trendy desserts to please every sweet-tooth in attendance. You should find a reliable catering company that has several options for the most popular food trends happening with weddings. Currently, some of the hottest wedding trends are sweet bars and dessert stations — guests love the idea because they can choose and assemble their own desserts. The stations are a smart choice because they offer variety and they make sure that your guests get out of their chairs — you don’t want to have a reception where guests stay glued to their seats instead of getting up to dance or mingle. Choose a catering company like The Food Dudes for your Toronto wedding, because they will have all of the hottest dessert bars and stations that you could possibly want. 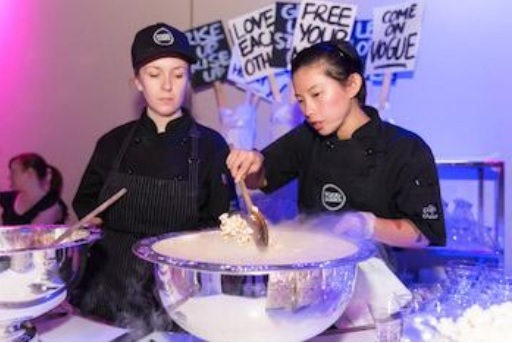 With the help of the caterers, you can set up a popcorn bar with an exciting twist — their version of popcorn involves salted caramel and liquid nitrogen. You could also have a make your own S’Mores station with gourmet graham crackers, homemade marshmallows and garnishes like peanut brittle, milk chocolate ganache and assorted candies. They can even do ice cream cookie sandwich and funnel cake stations to appease the hungriest guests at the reception. The Food Dudes are prepared to offer your guests unique desserts that aren’t wedding cake so that everyone can be pleased on your special day. You don’t have to follow the tradition of getting an enormous tiered wedding cake to serve as the main dessert for your reception. This is especially true if the cake sacrifices flavour for the sake of size and decoration — the food that you serve at your reception should be delicious and memorable in every way. Find a solution with a smaller wedding cake and beautifully catered desserts for all of your family and friends in attendance. What is Black Hat SEO and Why is it so Bad?